Home » Blog » How to Clean a Mattress : Remove Urine & Stains? Results from a survey poll conducted in 2011 by the National Sleep Foundation indicate that a whopping 92 percent of individuals agree that a “comfortable” mattress is important to get a good night’s sleep. But even the plushest mattress will not provide you with the right comfort quotient if it is not maintained well i.e. free of stains including dried urine stains and cleaned every so often. Speaking of maintenance, one of the biggest questions consumers have is how to clean a mattress stains, and the good news is that there are several ways to go about it. If you have pesky and needless to say foul-smelling urine stains, here are a few ways to get rid of them before the issue spirals out of control. 2 How to Deep Clean a Mattress with Household Cleaners? 5 How to Prevent Stains on Mattress? Before you begin the cleaning process to get rid of urine stains, it is important that you remove items such as blankets and pillows, so that they do not get in the way of the cleaning process. If you have wet urine stains, you will have to absorb the excess urine or liquid first to prevent them from further settling into the mattress. Start by grabbing a paper towel or two, and dab it on the wet urine spot to soak up the excess liquid. Refrain from using hot water or trying to rub the stain out of the mattress. Continue dabbing with the paper towel until you have a clean towel, and a dry or almost dry spot. Now that you have an almost dry stain to work with, you can try any of the below solutions to eliminate urine stains from your mattress. How to Deep Clean a Mattress with Household Cleaners? Put the rubber gloves on, and sprinkle the baking soda or borax generously over the stain, covering every inch of it. With gloves on, work the dry baking soda or borax into the urine stain. Depending on the intensity of the stain, you may have to leave it covered for 18 to 20 hours. For quicker drying time after you’ve absorbed the excess liquid with a paper towel, you can either turn on the fan and open the windows for ventilation or place the mattress in bright sunlight. Once dry, remove the baking soda or borax powder including residue with the vacuum cleaner. Take not that borax can be toxic, so avoid sleeping on the mattress until it is not removed completely. Baking soda is a great alternative to borax, and helps get rid of nasty odors as well rather than just covering them up. Next, dilute a little hydrogen peroxide with water, and use a spray bottle to spray the stained area until it is damp. Be sure to have some paper towels handy, because you will now have to blot the stained area, and allow it to air dry. You can also use vinegar to clean urine stains from your mattress, as long as you can get past the unique odor it possesses. Use vinegar in the same way as you would with borax or baking powder. Also Read: How Long Does a Mattress Last? Liquid dish detergent is another handy and easily available solution to get rid of urine stains from mattress. The essential oil does not help with the cleaning process, but neutralizes the musky odor. To get started, add just one single drop of liquid dish detergent and essential oil to the hydrogen peroxide/water mixture, and sprinkle it over the stain and allow the mattress to air dry. 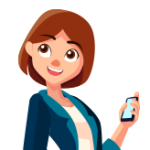 The market is flourished with biological enzyme cleaners that are designed specifically to remove urine stains. If you’d like to go this route, you will still need baking soda, vacuum and paper towels to blot wet areas apart from the biological enzyme cleaning solution. Put the enzyme cleaning solution into a spray bottle if it came in a liquid form. If it is in a powder form, you will have to dilute it with water in order to make the solution. Spray the enzyme solution onto the stained areas, and let it rest for approximately 5 minutes. Ensure that all windows are open for proper ventilation. Now use paper towels to blot up the wetness caused by the biological enzyme solution. Sprinkle the baking soda liberally over the affected area, and let it sit there for at least 18 hours. 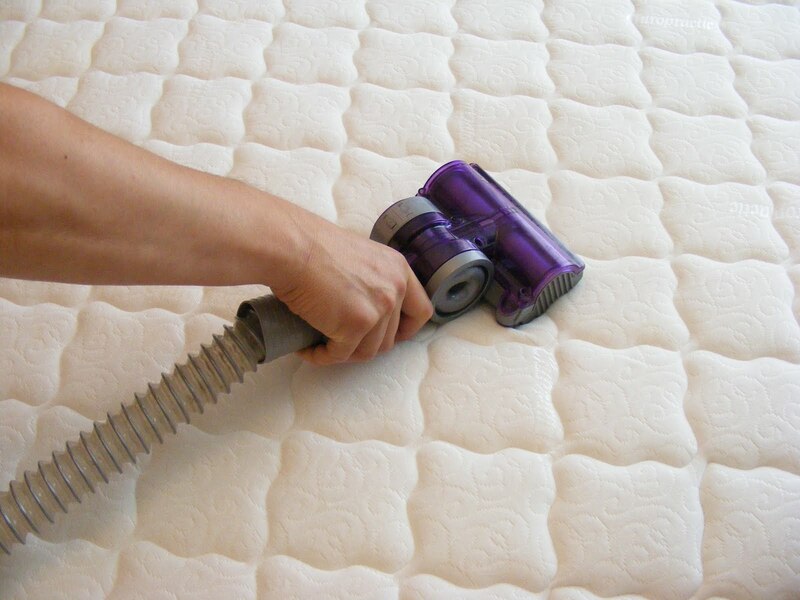 After the appropriate time has passed, vacuum up the baking soda, and allow the mattress to completely air dry. You can repeat any of the aforementioned methods several times until you get rid of the urine as best as possible. How to Prevent Stains on Mattress? They say prevention is better than cure, and in the case of mattresses, the best solution to prevent stains is with a mattress protector. They not only protect your mattress from stains, but also help prevent exposure to dust mites, microbes and other potential allergens. An existing mattress protector that is not able to prevent stains on the underlying mattress may have worn out due to age or poor maintenance. Many mattress protectors aren’t able to handle high heat such as when put through a dryer, so follow the manufacturer’s care directions closely for longer service life. Given that mattresses can easily and quickly become a breeding ground for dust mites, animal dander and various other allergens, using a mattress cover can help prevent allergies caused by them. Bed bugs are another major issue in the United States, and tend to burrow deep into crevices of mattresses. Placing an easy to clean mattress cover will help prevent bed bugs, because getting of these critters is a daunting task to say the least. Cleaning your mattress by getting rid of urine and other stains is highly important to maintain overall hygiene and to enhance its longevity. Failing to remove even the smallest stain can also void your manufacturer mattress warranty, and if you’ve spent a bucketload of case, this is definitely the last thing you want to do. Urine stains are harder to remove once dry, which is why it is important to try and rid of the stains upon first notice. It is also important to note that pets tend to pee in the same spot, so if the urine stain isn’t removed completely, you will have a bigger mess to deal with. Before proceeding with the aforementioned solutions on how to clean mattress urine, it is recommended that you keep all the cleaning tools handy including a bunch of paper towels to avoid any hindrances in the cleaning process. The cleaning process to remove urine stains from mattress is pretty easy, so use any of the solutions mentioned above to see which one works best for you.